From left: Group Managing Director, Royal Exchange Plc, Alhaji Auwalu Muktari receiving the award from the Publisher, Vanguard newspaper, Sam Amuka, at the event in Lagos. The award to Muktari, according to Mr. Ade Ogidan, Managing Director/Editor-in-Chief, Independent Newspapers, was in recognition of his extra-ordinary doggedness, dynamism, unparalleled energy and passion in impacting the insurance industry and excelling in a very difficult business terrain as a role model. 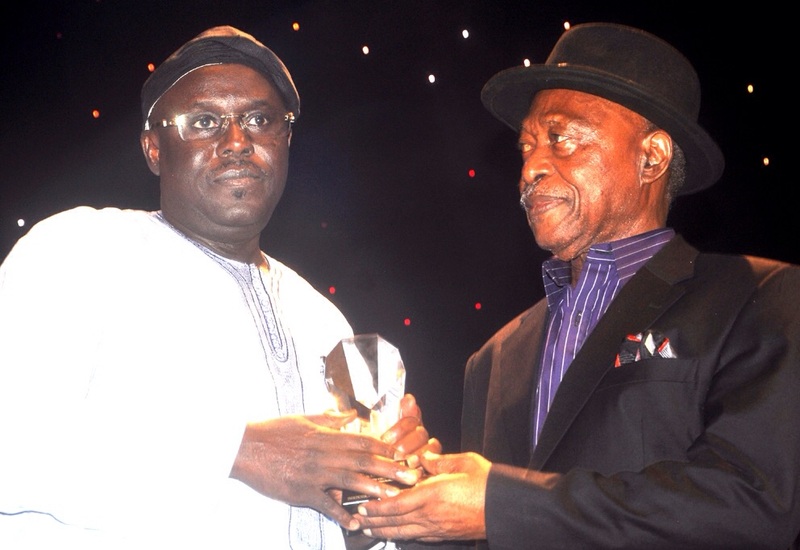 Commenting on the award, which was presented by the publisher of Vanguard Newspaper, Sam Amuka, Alhaji Muktari thanked the management of Independent newspapers for selecting him, from the over 50 insurance chief executives in Nigeria and acknowledged the support received from the Board and Management of Royal Exchange Plc, which has enabled him succeed as the Group Managing Director, following his appointment in 2016. According to Muktari, “This award will only spur me and the Royal Exchange Team to strive to achieve even better financial results for the group. Our resolve as a 100-year company operating in Nigeria is to ensure we leave a great legacy for those coming behind”. The goal for all of us in Royal Exchange is to ensure we make the company among the best insurance groups operating in Nigeria, he further added. Muktari’s profile reveals that completed his 1st degree in Business Administration and later his Masters Degree in Banking and Finance at Bayero University Kano in 1993 and 1995 respectively. He also attended Ahmadu Bello University Zaria where he obtained a Diploma in Insurance at Credit Level in 1983. He started his working career with the Kano based insurance company, Kapital Insurance Limited and rose to become Head of Re-insurance Department. Alhaji Muktari joined Royal Exchange Assurance Nigeria (as it was then known) in 1995 as Branch Manager in Kano, with direct oversight and responsibility over the activities of Bauchi, Maiduguri and Yola offices of the company. In 2003, he became the Regional Director, Abuja. Muktari is a member of the Institute of Directors, Nigeria; Fellow of the Institute of Islamic Finance Professionals, Nigeria; Associate Member, Institute of Management Specialist, UK; Member, Chartered Insurance Institute of Nigeria; Associate Member, Institute of Management and is currently the President of the Institute of Sales and Marketing Management of Nigeria.